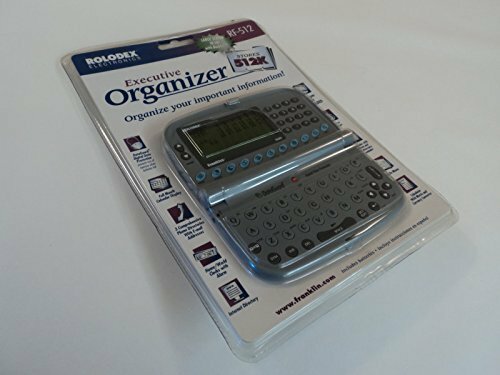 Rolodex Electronics Executive Organizer 512K Large Screen Backlight RF-512. Material: Plastic. Material: Metal. Material: Electronics. Exact item size plus or minus 1/4 inch - 5.5in length x 3.25in width x 0.8in height. Color: Gray. Country of Manufacture: China. Feature: Part Number: 7203738. Feature: UPC 084793991608. 2 business and 1 personal directory. Scheduler with alarm. Internet directory. Home and world clocks. Expense manager. If you have any questions about this product by Rolodex Electronics, contact us by completing and submitting the form below. If you are looking for a specif part number, please include it with your message.